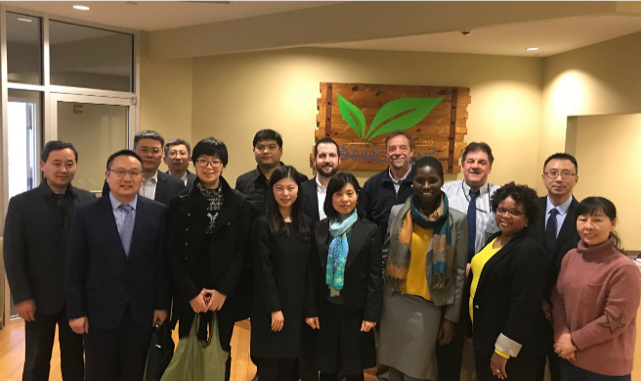 In recent months, Corvias and The Clean Water Partnership (CWP), alongside the Prince George’s County (PGC) Department of the Environment, welcomed multiple visitors from international delegations. 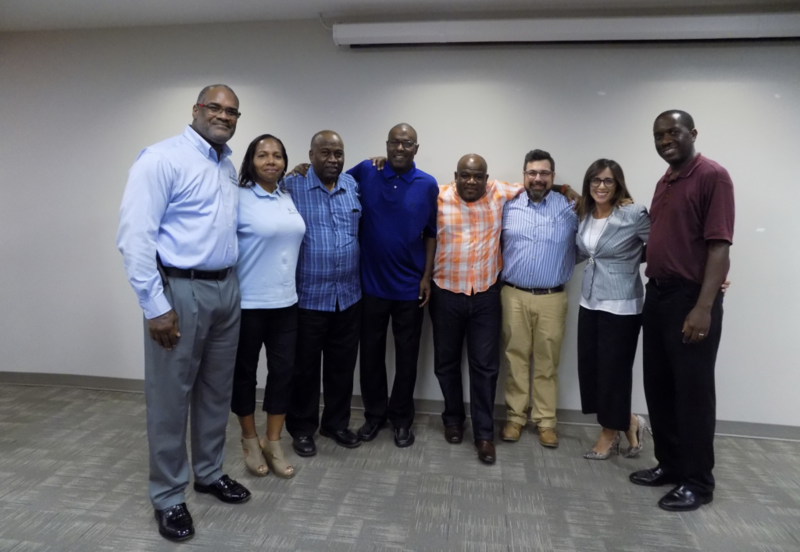 The CWP was able to share a variety of project successes, project updates, and lessons learned with each visiting team thereby providing valuable information for each to take back to their countries and implement components into their clean water plans. The opportunity to learn and exchange ideas with international groups is always valuable and of importance to the County and its partners. 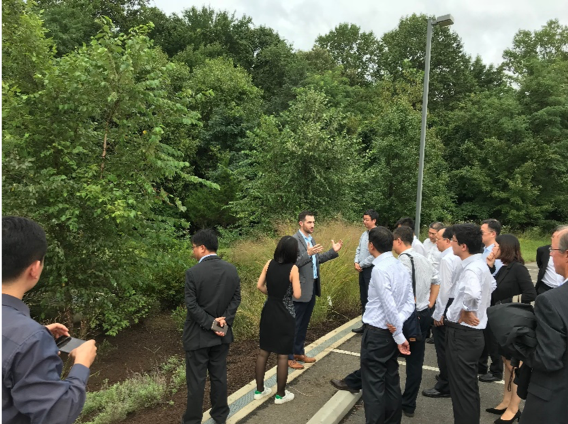 In September 2018, Corvias and The Clean Water Partnership (CWP), alongside the Prince George’s County (PGC) Department of the Environment, welcomed the National Development and Reform Commission (NDRC), the highest-level policy setting governmental body in China with oversight over environmental protection and natural resource use, to visit and learn more about the program. China is grappling with a number of air and water pollution challenges, and stormwater pollution from land conversion and urban runoff is one of their larger challenges in cleaning up their waterways. China spends close to $14Billion annually on wetland and watershed restoration, and NRDC is made up of representatives from six provinces that are part of the very large Yangtze River watershed and their interest reflects the emerging national priority, set by China’s President Xi, to clean up the Yangtze River. 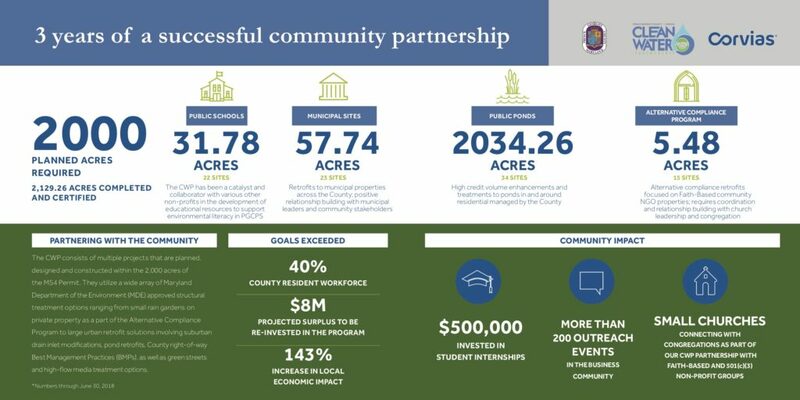 NRDC specializes in water pollution and watershed restoration issues and had a particular interest in developments by counties like Prince George’s County in the use of Pay for Performance contracting to achieve cost-effective, measurable improvements to watersheds and water quality. The Clean Water Partnership has been recognized as a Pay for Performance program that can replicated around the world to solve water pollution and water restoration issues. Adam Ortiz, then Director of PGC Department of the Environment, Program Manager Jim Lyons, and Corvias’ Sean Agid and Pete Littleton provided the group, which included senior officials from the national NDRC as well as six provincial DRCs, all of whom have specific water quality and pollution control responsibilities, an overview of the Prince George’s County Clean Water Partnership with Corvias. This visit included a review of components of the program such as Pay for Performance, operations and maintenance. The Delegation was taken for a site visit at the Junior Achievement Facility site where they got to see various best management practices in action. 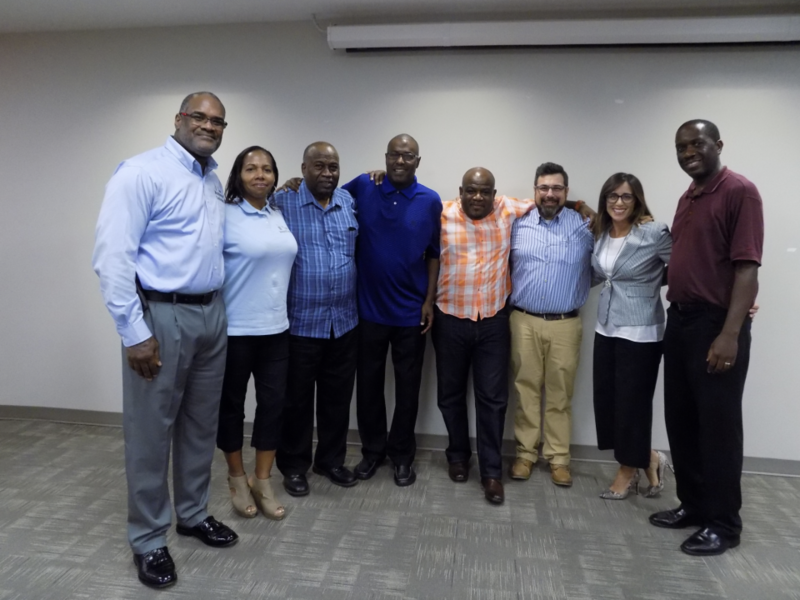 Throughout the visit, the team discussed strategies that bring the community, government and private sector together to work towards one common goal of reducing water pollution and promoting conservation by utilizing pay-for-performance contracting. Pete Littleton explains the type of BMPs installed at the Junior Achievement Facility in Prince George’s County, MD. 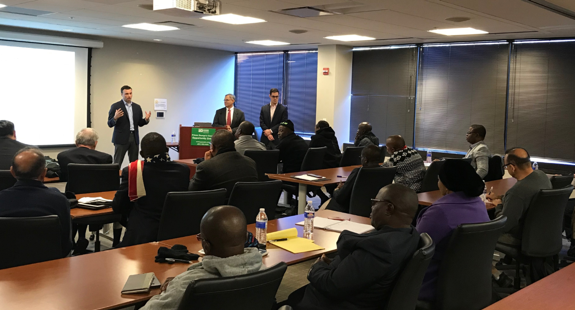 In November 2018, CWP hosted a visit with the Nigerian Delegation representing the Nigeria Erosion Watershed Management Project (NEWMAP), which included 15 members of the Delegation (plus a camera crew for training material in Nigeria), for a policy workshop on public-private partnership (P3) financing aspects for large scale projects. 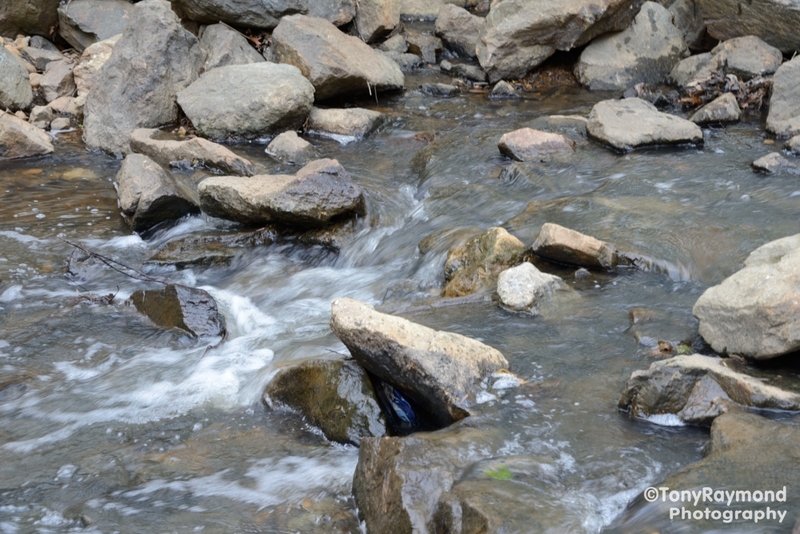 NEWMAP’s main concern is surface water reduction, although pollution is also an important focus. NEWMAP’s current projects include rehabilitating the gullies, but are now thinking long term and reducing the potential of erosion. The Delegation was looking to the CWP to provide insights about the model and efforts underway in Prince George’s County that could be utilized in Nigeria as they have major issues with soil erosion from urbanized areas. Specifically, the group was interested in learning about managing surface water runoff after heavy rains in urban/peri-urban areas to improve infiltration and reduce water flows that can cause destructive and expensive gullies. 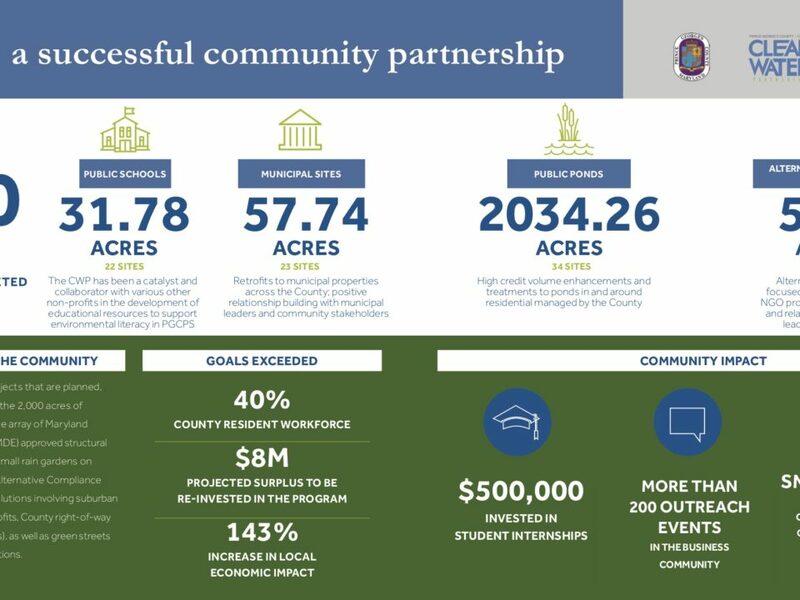 In addition, the visit covered strategies and project examples touching on County regulations for addressing Prince George’s County and Corvias partnership and the County’s stream restoration program. Corvias’ Greg Cannito and Sean Agid alongside DoE’s Jerry Maldonado present to the Nigerian Delegation. This delegation consisted of nine officials working in the EPA at the municipal and county levels who were visiting U.S. agencies to learn about the monitoring and treatment of environmental contaminants. Jeff DeHan, Associate Director, Stormwater Management Division kicked off the presentation welcoming the guests and lead a presentation supported by Frank Galosi, Engineer Stormwater Management Division, DoE, Keisha Brown and Pete Littleton, Corvias to discuss the County’s Clean Water Programs. In addition, DoE’s Dawn Hawkins-Nixon, Associate Director, & Akosua Dosu, Planner, Sustainability Division, DoE provided the guests an understanding and overview of the Counties Clean Air Program. The group took a short break in between presentations: Jeff, Frank, Dawn, Akosua, Pete and the delegation from Jinan Municipal Environmental Protection Agency.